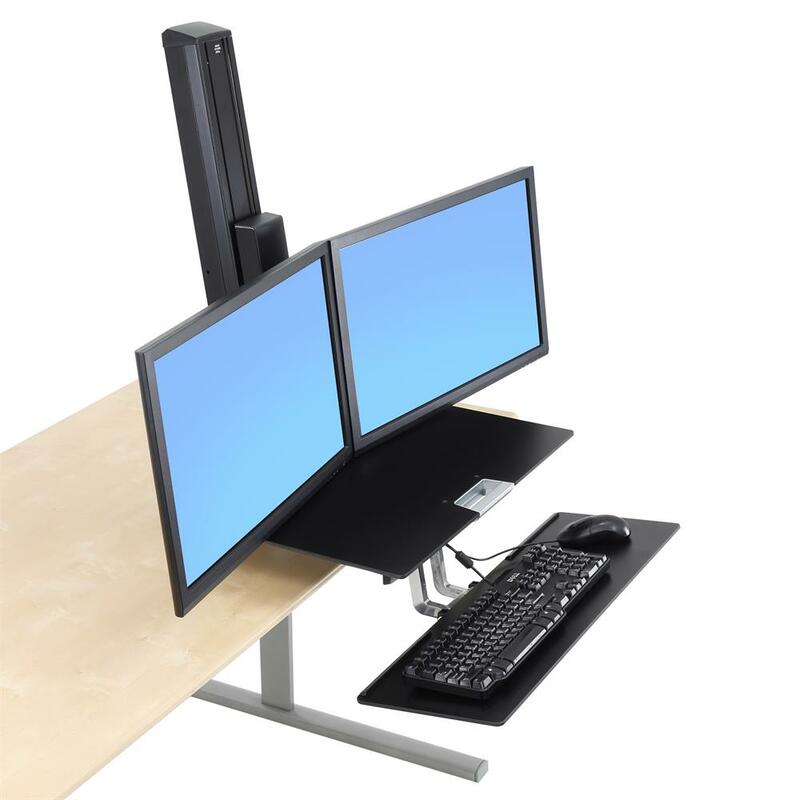 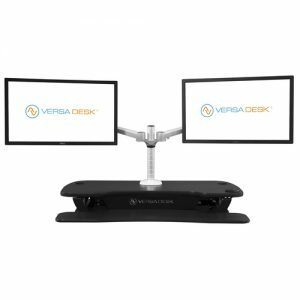 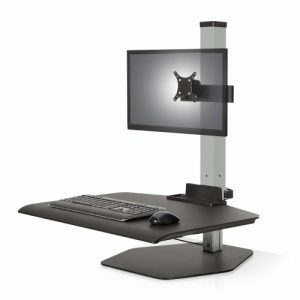 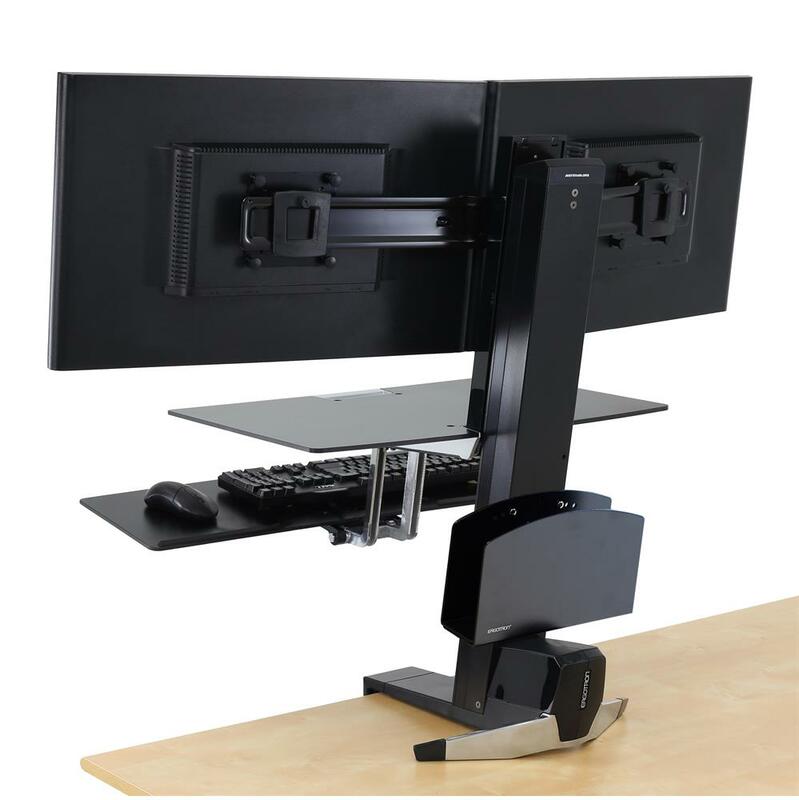 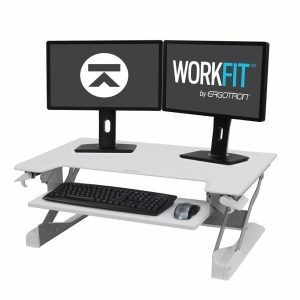 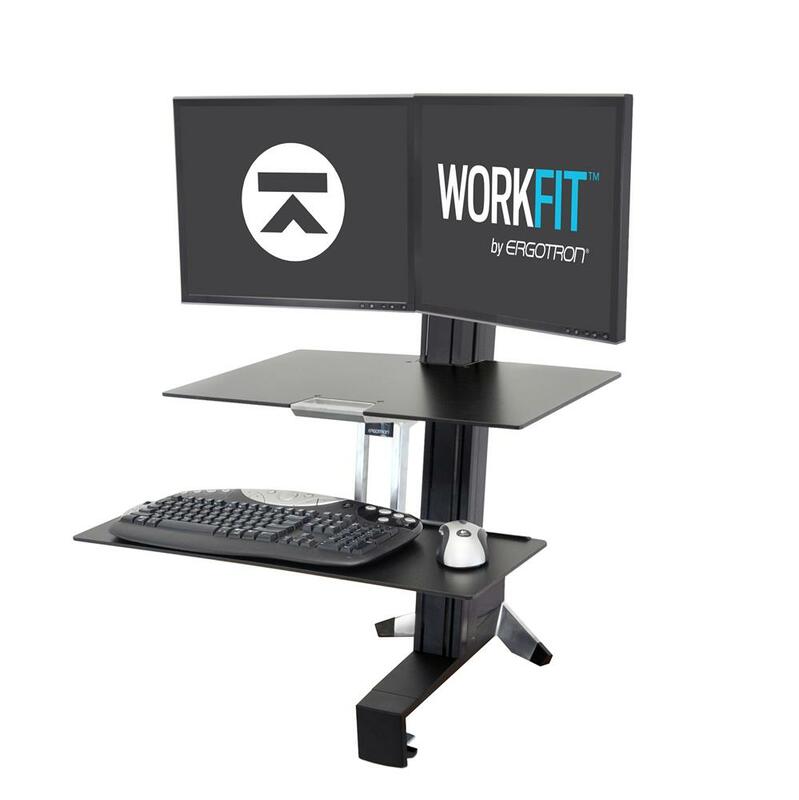 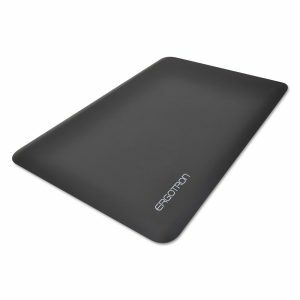 The Ergotron WorkFit Dual Workstation Desk is an easy-to-use sit-stand desk converter that allows you to instantly raise or lower your keyboard and two displays in one simple motion, keeping your system stable as you work. 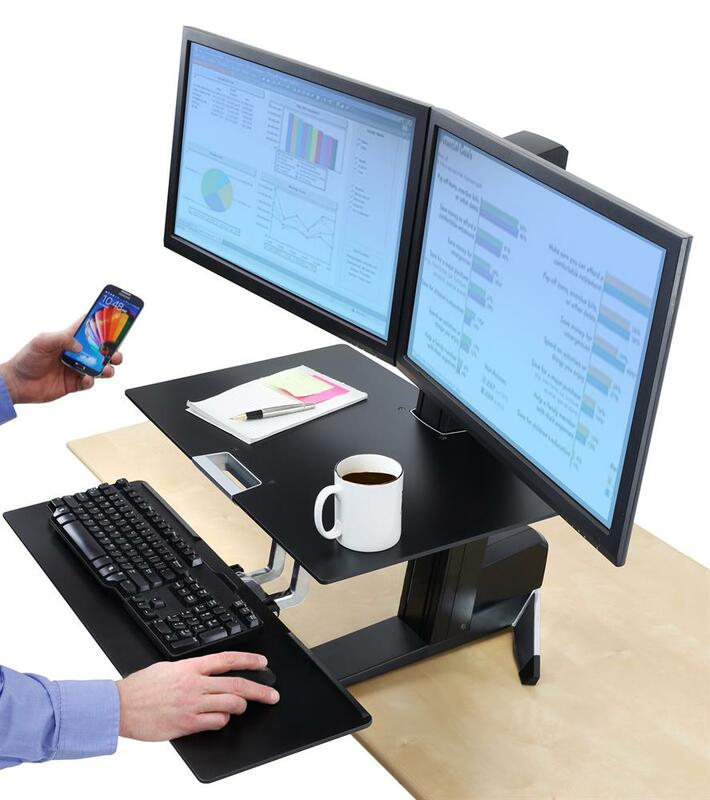 Includes a complementary worksurface and larger keyboard tray. 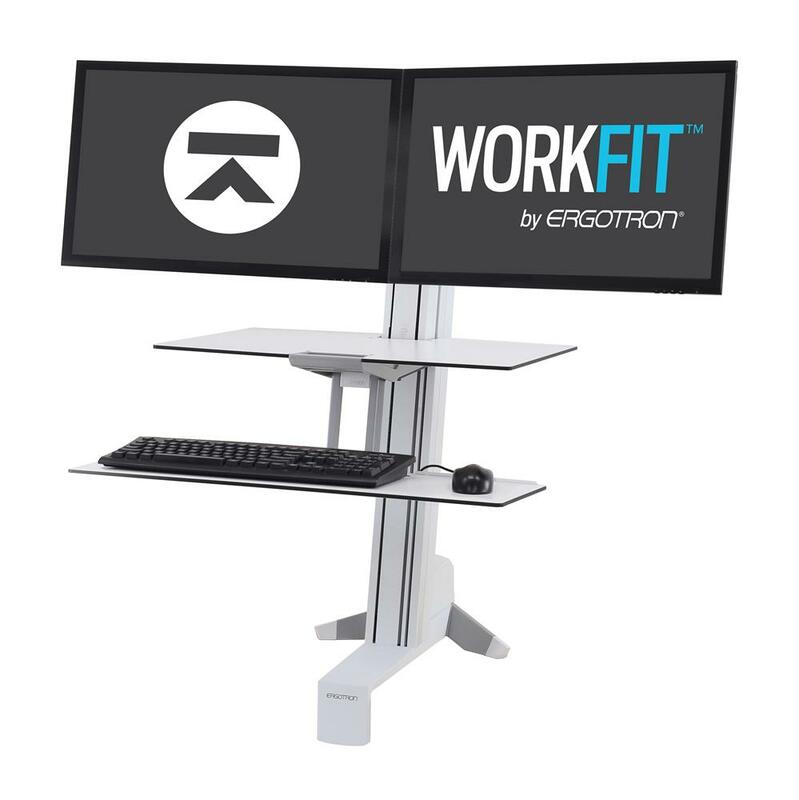 Ergotron WorkFit Dual Workstation Desk transforms an office into an ergonomic workstation. 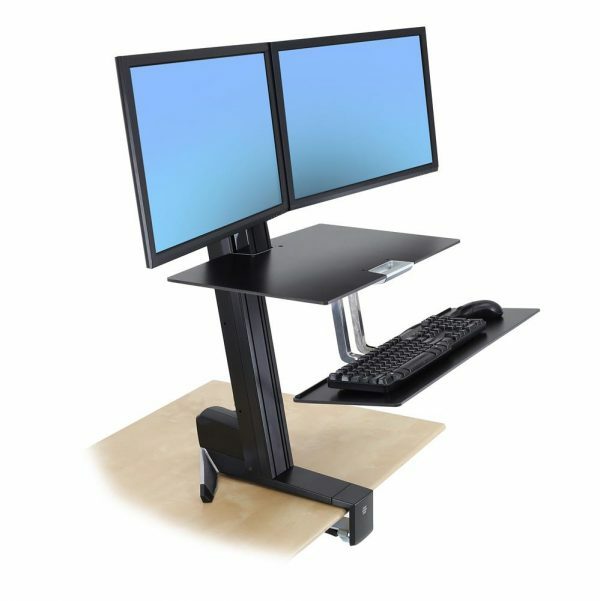  It’s easy to adjust through the full range of motion, moving straight up and down so it won’t intrude into your space upon standing. 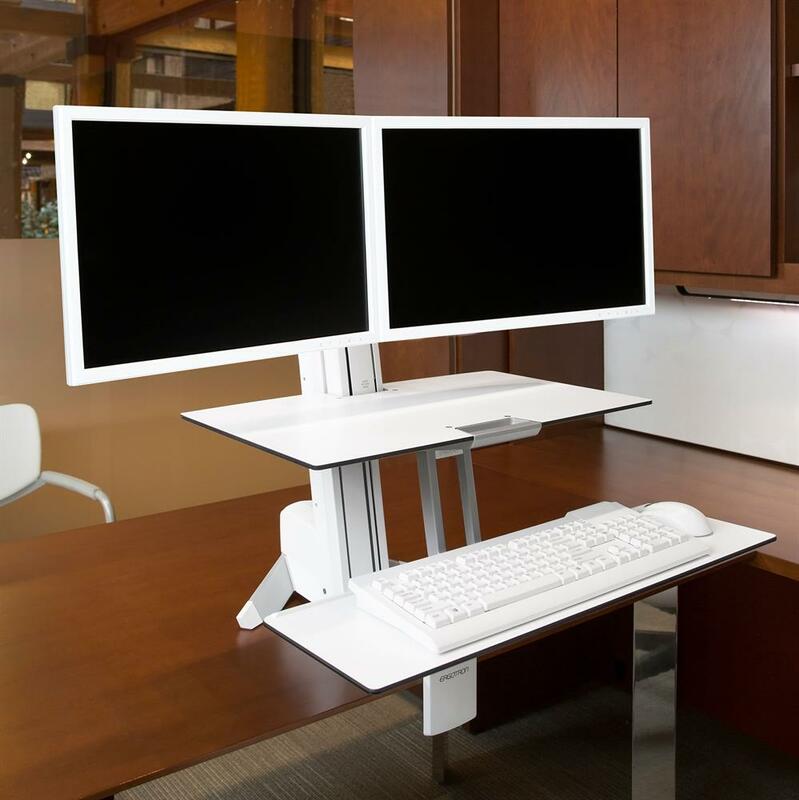 The keyboard sits below the desktop height for better ergonomic comfort when sitting.